Lawyers for Car Wrecks | Jimeno & Gray, P.A. If you’re not getting the amount you deserve after a car accident you may be eligible for our car accident lawyer services. We help people get the compensation they deserve from vehicle accidents. As a small firm we’ve taken on many car accident cases over the years and have helped people just like you. Our consultations are free for car accident victims. We truly believe we can offer you the best legal service in Anne Arundel County. We look forward to your call. Nothing can prepare you for the shock, physical pain and emotional consequences of being injured in an auto accident. At Jimeno & Gray, P.A., with locations for our car accident lawyers in Glen Burnie, Annapolis, and Columbia, we are nearby and we understand that your life has been severely disrupted, resources drained, and mental and physical well-being compromised. Your loved ones may depend on you to provide income, and you have been left unable to work as you struggle to recover from your injuries. This is when our legal team can get into action to protect your rights. Our car accident attorneys are ready to go to war for you, get ready to call us because we’re ready to talk. Dealing with an insurance company after an auto accident is difficult. You can safely assume they do not want to pay you what your case is worth. We can help you to pursue a fair level of compensation in a settlement or lawsuit, and we will zealously advocate for your rights. Our personal injury team is originally from this area, and we have deep ties to the legal community, having both served as prosecuting attorneys in Maryland. 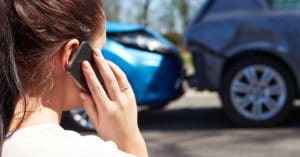 Our hard work, local connections and our reputation in the legal community can be advantageous for you in your auto accident case. You have limited time in which to file a car accident claim under the statute of limitations. Please call us immediately for help. An auto accident lawyer in Maryland can get started on your legal claim right away. Check out our free videos that will answer many questions you may have. View the results of the cases that our firm has handled over the years. 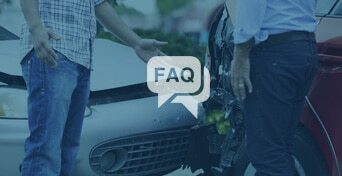 Get the answers to frequently asked questions about car accident. 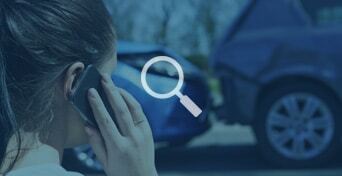 Looking for more auto accident information? Order our FREE information-packed auto accident book. 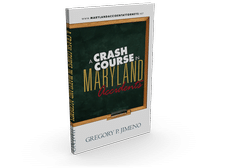 We wrote the book, “A Crash Course in Maryland Accidents,” to help you get much needed information. We can also speak with you directly by phone, answer your online request, or you can use our live chat feature. We have done all we can to make the process of getting help simple for you. Why Choose Jimeno & Gray, P.A.? At Jimeno & Gray, P.A., our record of success has been made possible through the long-term relationships we’ve established in the Maryland legal system and our personal dedication to our clients. Both partners of the firm are originally from this area, and both served as prosecutors, and we bring invaluable experience to the table to help you. Our friends, families, and business connections are all right here in our local area. 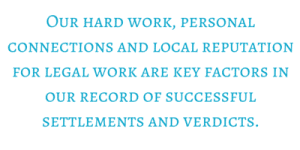 Our hard work, personal connections and local reputation for legal work are key factors in our record of successful settlements and verdicts. Rated 10.0 Superb on Avvo, we believe your trust in us is well-placed. Call today for help. A staggering number of injuries and deaths occur from auto accidents. The Insurance Institute for Highway Safety reports that 32,719 people died in America in vehicle accidents in 2013, with 435 of these deaths occurring on Maryland roads, streets and highways. The Maryland Motor Vehicle Division reports that traffic crashes are the leading cause of death of people aged four to 34, and that 90 percent of these accidents were totally preventable. Once injured, there is an urgent need for compensation to pay for medical bills, your lost wages, and for the pain and suffering and emotional anguish associated with the accident. Call us and tell us what happened. We are ready to help you get these critical issues resolved, as quickly as possible. We know you need to cover your bills, and may be struggling to stay afloat, unable to work and earn a living. We will do everything possible legally to help you. What should you tell the insurance company? How does a car accident legal claim work? Our Maryland personal injury attorney can answer your questions and concerns, and once we take on your case, we fight hard to help you get your life back on track. You will not have to deal with a greedy insurance company, an adjuster who is attempting to manipulate you into accepting a lowball settlement, and the financial problems associated with medical bills, hospital bills, the costs of rehabilitation treatment, and your lost income from work, on top of the pain and suffering you are experiencing. At the end of the day, what we offer is a firm dedication to seeking justice and security for you, your family and the ones you love. 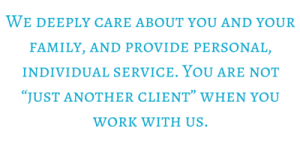 We deeply care about you and your family, and provide personal, individual service. 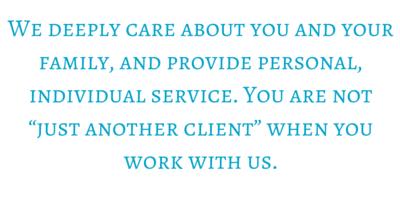 You are not “just another client” when you work with us. We are former prosecutors that have chosen to use our legal experience to help the injured. 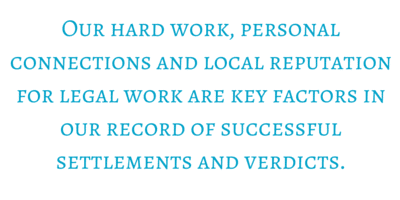 As litigators, we are highly experienced and well-connected in the local and legal community. We have experience in seeking compensation for all types of car accidents. Every accident is different, and we carefully evaluate every detail to better serve our clients. We get involved in drunk driving accidents, distracted driving accidents, and accidents involving speeding, reckless driving and drowsy driving, among others. Whether you suffered injuries in a side-impact, head-on collision, or rear-end accident, we will aggressively pursue fair damages for you. You can focus on your health while we do the heavy lifting. It is not a simple task to get an insurance company to pay fair damages. We are committed to demanding justice for you, and to pressing the insurance company to make a fair offer. If they fail to do so, we can move forward with a lawsuit to hold the responsible party accountable. We have a deep understanding of how insurance companies operate. Initially, an insurance company will try to get off with a low settlement. If you work directly with the insurance company, you may be devastated when you hear what they offer you. As we understand the process, and the true value of an injury claim, we won’t let these companies take advantage of you or the fact that you may be unaware of the true value of your claim. You can trust us to go the distance. 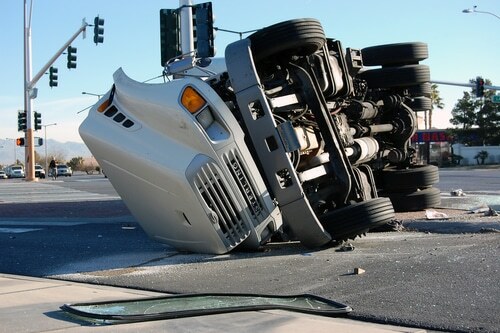 We have a record of success in personal injury cases for auto accidents. With a 10.0 Superb rating on Avvo, the highest rating possible, you can be confident in our legal skills. Beyond what we do legally for you, we care about our clients and choose to serve them with personal attention, compassion and determination to get justice at all costs. We offer a free case evaluation. You need to find out more about us, and whether you are comfortable with us. To make the process easy for you, we offer a free case evaluation. Take advantage of this free, no-obligation evaluation, and our many free informational guides. We are here to serve you. One of our attorneys, Gregory P. Jimeno, has released an e-book that details what you need to know right now about your automobile accident. To get your free copy, click here for details. 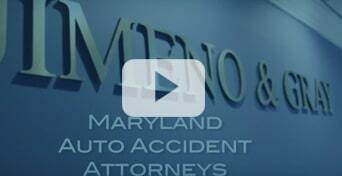 Do You Know What to Expect After a Maryland Car Wreck?